The oldest known burial ground in Tain is just off the High Street, around St Duthus Church. 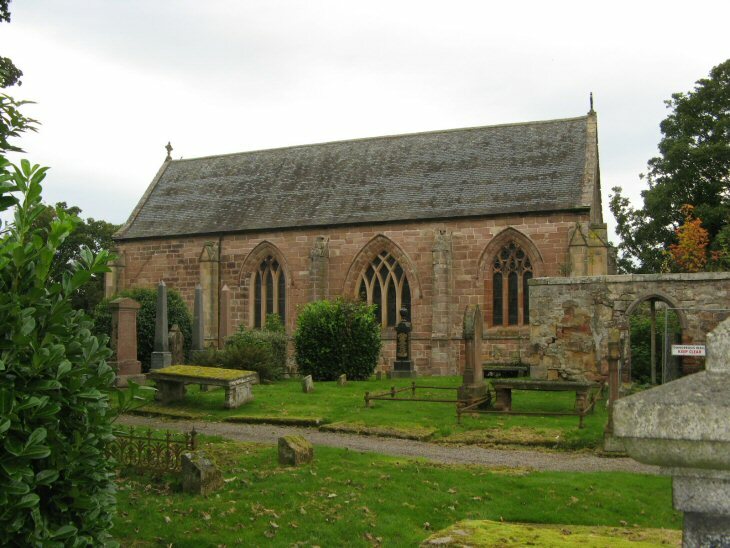 This was the destination of one of the most important medieval pilgrimages in Scotland to visit the relics of St. Duthus. Since 1814, when it became redundant as a church, the building has been used as a Memorial Hall. Many of the table stones are illegible. Gates to the burial ground are locked and opened by the Tain Through Time musuem staff. Picture Added on 04 October 2011. Thanks for this picture. I am searching for the tombstone or burial site of Helen Bayne who was married to Alexander Ross in the early 1700 s. They had a son, William Ross in 1732 in Tain, who was a soldier in the 78th regiment Fraser Highlanders in 1754 and came to Canada and settled in Rimouski, Quebec, Canada. His father, Alexander followed him to Canada a few years later but without his wife, Helen. I am hoping to find her burial site + if there were other siblings. Added by Nicole Poitras on 20 August 2014. Added by Ann on 04 January 2015. I'm trying to track down a mason who lived in Tain mid-18th Century - Normand Murray. Added by Enid Cruickshank on 03 November 2017. Thank you for the picture. Still looking for Hugh Munro's burial site. Added by Ann on 08 November 2017.